Everyone was looking for Jennifer Jones. She was dangerous, the newspapers said. She posed a threat to children and should be kept behind bars. The public had a right to know where she was. Some of the weekend papers even resurrected the old headline: A Life for a Life! Republished by Scholastic in August 2013 for tenth anniversary. Three children walked away from the cottages on the edge of town toward Berwick Waters. Later that day, only two of them came back. Alice Tully knows exactly what happened that spring day six years ago, though it’s still hard for her to believe it. She’ll never be able to forget, even though she’s trying to lead a normal life—she has a job, friends, and a boyfriend whom she adores. But Alice’s past is dangerous, and violent, and sad... and it’s about to rip her new life apart. This really isn’t an easy book to review. Coming to it from the perspective of a parent, I found my insides churning as I read it. This has to be one of every parent’s nightmares and when this book was originally published it would have been something that played heavily on every parent’s mind after the Soham murders. I know that this book is a completely different style of murder, but it still makes you feel uneasy reading it. To be fair, I think Anne Cassidy has handled a very delicate topic extremely well and with great sensitivity and I can see why the book was so popular. The author has managed to gain your sympathy for Jennifer Jones. You realise she was just a child and the situation her mother had put her in, tipped her over the edge. She needed help early on and it seemed as though the justice system had lost sight of her needs. She was a boiling kettle about to overflow, yet no one picked up on it. You felt sympathy for the adult, Jennifer Jones, she was full to the brim of self loathing, just waiting to be discovered. Every day was a waiting game for her and she struggled to live a normal life. Whether people felt she was entitled to a normal life, is a difficult question to answer, as emotions tend to be at their rawest when a child is hurt. I liked the way the book is set out into three parts, so you get a sense of the past, present and future. 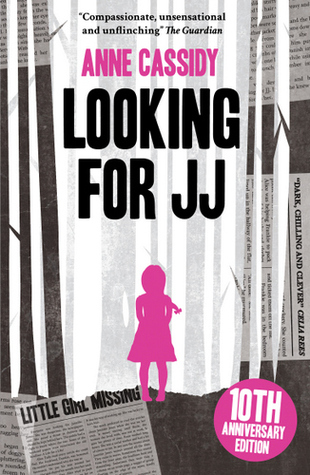 I am curious to what happens to Jennifer after this book finishes, and will shortly be reading the recent sequel, Finding Jennifer Jones, because in my mind, I cannot see how a character like this can ever find peace and lay to rest the past. It must be something that wakes you up in the morning, and greets you as you lay down to sleep. Jennifer had accurately sensed how people would react to her secret and the author has written these with sensitivity for both parties involved. An emotional read, that makes you question a crime from the other side. At times it was disturbing to read, but it is definitely a book that should be read and one I would vigorously hand out to every teenager to read.